Based on the “Business Value of IT” theory and an unprecedented large data set gathered in a large scale Radio Frequency Identification (RFID) trial in Germany, this book investigates the business value of RFID in department stores. 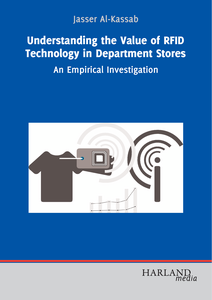 The recorded data from thousands of RFID item-level tagged clothing items, seamlessly tracked on their way along the retail supply chain, allow for a number of quantitative analyses, which provide novel insights into in-store logistics and customer behavior. A conceptual model to explain the different cause-and-effect chains between RFID investments and their impact on firm performance as well as the role of complementary and contextual factors is developed. The book is for academics and practitioners who want to learn about the untapped opportunities for retail companies to improve category management, store layout design, inventory control, and process execution. It closes with research implications and a number of lessons learned for practice.